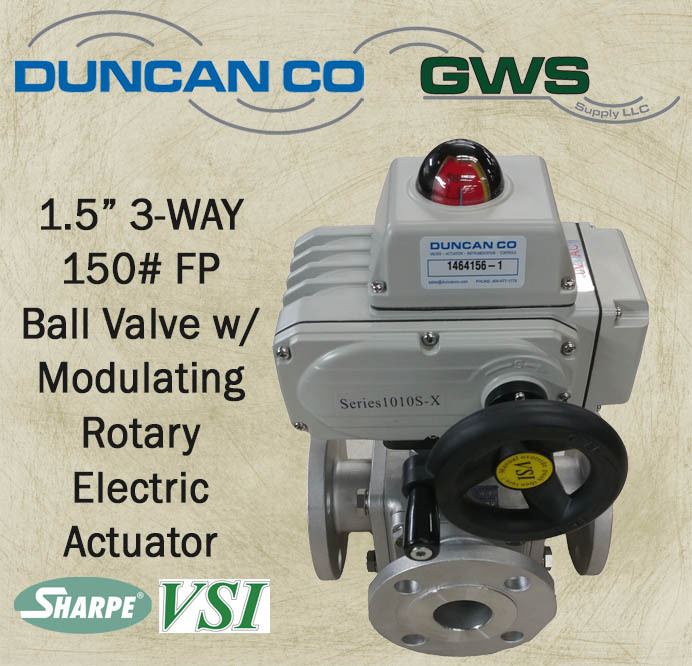 1.5″ 3-way 150# Flanged Full Port Ball Valve with 120V Electric Actuator was built for a 3-way mixing application. Our customer wanted control with reliability, the switches are for full open/closed signal. Do you have automated valve needs? Don’t forget to contact us at GWS Supply, let us help you with your application. We Control Flow – we can divert it, reduce the flow or stop the flow! Contact us on how we can help you with your applications!